The restraints of the recent years seem to be over. On Tuesday, Maersk Line announced that it ordered 11 ultra-large container vessels (ULCVs) from the Korean shipyard Daewoo Shipbuilding & Marine Engineering Co (DSME). The contract amounts to approximately 1.8 billion US dollars. The vessel size should be similar to the one of the “Tripple E” vessels already in operation. However, the TEU capacity shall be enhanced. The same relates to the new design of the superstructure. 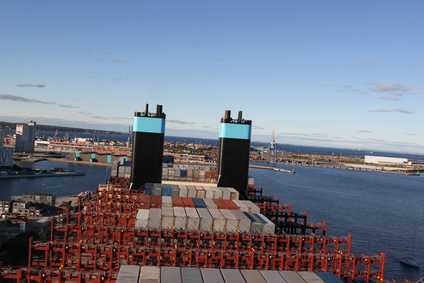 This so-called “Skyhook system” is based on the fact that the upper deck structures are positioned on rails which are flexible to shift the goods at about 2 40 ‘container lengths. The contract includes an option for 6 additional vessels. An exact delivery date is not yet known, but the ships are to be available for operation starting from 2017.